One of the undisputed kings of Australian wine, d'Arenberg has managed to turn individuality into an art form by doing a whole lot of little things differently. The winery was established by Joseph Osborn in 1912 in the McLaren Vale region of South Australia. A century on, the estate has grown to 345 acres, and the mantle now rests with fourth-generation winemaker, Chester Osborn. By maintaining a focus on traditional winemaking and nurturing their old-vine material, the Osborn clan has successfully established themselves as one of the country's leading producers of concentrated wines that are full of character. Planted in the 19th century, the High Trellis vineyard was and received its nickname because it was the first in the region with vines trained above knee height. 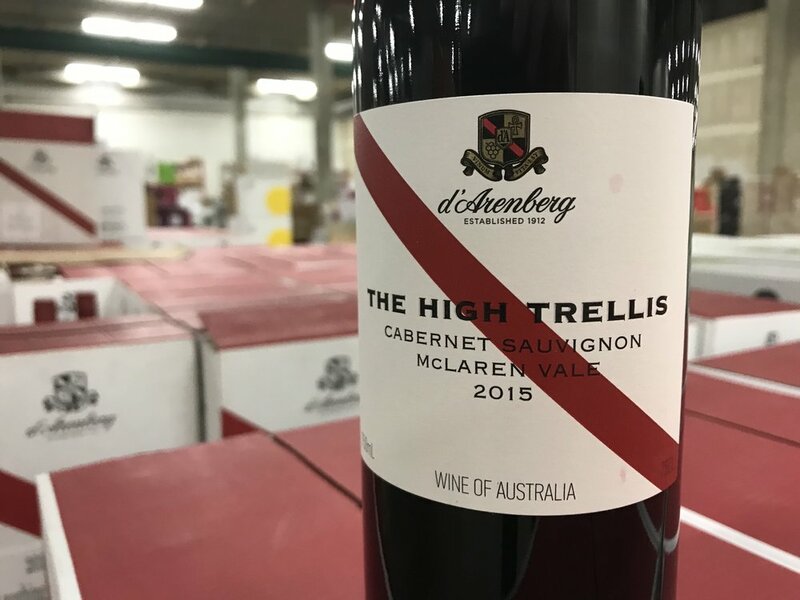 Over the past four decades, Cabernet Sauvignon from the High Trellis vineyard has been released under the d'Arenberg label to consistent critical acclaim, and has won significant awards. Video: Viña Gillmore - VIGNO and Old-Vine Carignan.